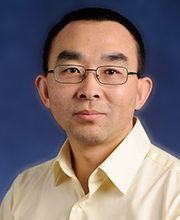 Yingyao Hu is Professor of Economics in the Krieger School of Arts & Sciences at Johns Hopkins University. His research interests include econometrics, empirical industrial organization, and labor economics. Hu has published in many leading journals in economics and statistics. He is fellow of the Journal of Econometrics and serves on the editorial boards of several journals. Recently, he is co-editing a special issue of Journal of Econometrics on measurement errors.